The European Business Aviation Convention & Exposition (EBACE) is next week, but I am unable to attend. I thoroughly enjoyed the conference last year and have few photos from it that I haven't used yet. 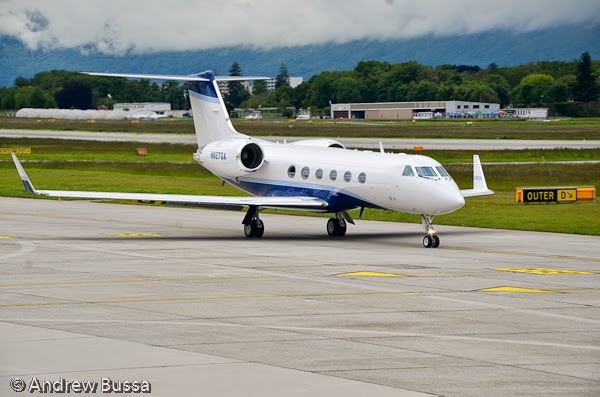 Enjoy a fun Friday picture of a Gulfstream IV used by PPG; the jet wasn't part of the conference, just one of the many private aircraft at GVA.